Solbiate Olona (VA), 5-6 December 2017 - NRDC-ITA hosted a two days eNRF Support Concept Seminar chaired by Support Division Chief Brigadier General Luca Fontana. In this seminar, members from the NATO Support Community coming from both NATO Command and Force Structure, shared outcomes identified at the end of the eNRF 18 - preparation phase, when NRDC-ITA has been validated to play the role of Land Component Command (LCC). NRDC-ITA Deputy Commander, Major General Sir Edward Alexander Smyth-Osborne has welcomed the representatives highlighting how complex the multinational operations can be nowadays. As a matter of facts, interoperability is the main focus in order to be effective and allow the eNRF contributing nations to properly work together. More than 40 Officers from various HQs, including from the newly established NFIUs, contribute to achieve the actual goal of the seminar: how to improve the support concept in the logistic domain and how to reduce challenges in sustainability. 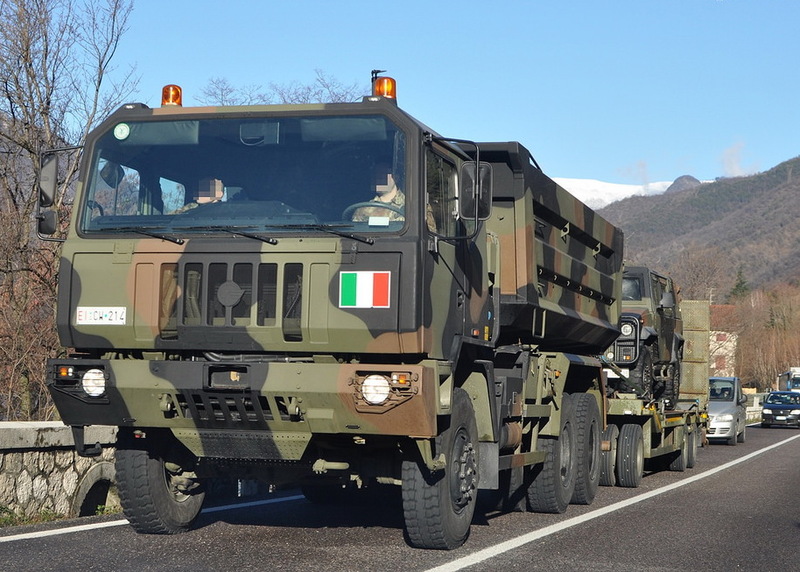 As LCC, NRDC-ITA will be part of the NATO Response Force (NRF), a high readiness force comprising of air, land, maritime and special forces units capable of rapid deployment and of performing a wide variety of tasks, i.e. immediate collective defence response capability, crisis management & peace support operations, disaster relief and the protection of critical infrastructure. NFIUs are small Headquarters part of the biggest reinforcement of NATO’s collective defence since the end of the Cold War. They will help facilitate the rapid deployment of Allied forces to the Eastern part of the Alliance, support collective defence planning and assist in coordinating training and exercises. They are not military bases, but they represent a visible and persistent NATO presence in eight Allied nations; Bulgaria, Estonia, Hungary, Latvia, Lithuania, Poland, Romania and Slovakia.